2000001 C(Y) 60-70-80 CLARK forklift Model: C(Y) 60-70-80. Series: C(Y) 60-70-80. Manuals for Service (overhaul / repair) and Operation. Additional technical manuals and service letters for repair and operating. 2000002 C(Y)500 60/80 CLARK forklift Model: C(Y)500 60/80. Series: 685 / Y685. Manuals for Service (overhaul / repair) and Operation. Additional technical manuals and service letters for repair and operating. 2000003 C(Y)60-70-80 CLARK forklift Model: C(Y)60-70-80. Series: C(Y)60-70-80. Manuals for Service (overhaul / repair) and Operation. Additional technical manuals and service letters for repair and operating. 2000004 C, CF, CY and CFY 30-50 CLARK forklift Model: C, CF, CY and CFY 30-50. Series: C, CF, CY and CFY 30-50. Manuals for Service (overhaul / repair) and Operation. Additional technical manuals and service letters for repair and operating. 2000005 C20, 25B, 20BP, CS30 CLARK forklift Model: C20, 25B, 20BP, CS30. Series: C20, 25B, 20BP, CS30. Manuals for Service (overhaul / repair) and Operation. Additional technical manuals and service letters for repair and operating. 2000006 C20 / 25SU CLARK forklift Model: C20/25SU. Series: C20/25SU. Manuals for Service (overhaul / repair) and Operation. Additional technical manuals and service letters for repair and operating. 2000007 C20B, C25B, C20P CLARK forklift Model: C20B, C25B, C20P. Series: Lots 296 thru 617. Manuals for Service (overhaul / repair) and Operation. Additional technical manuals and service letters for repair and operating. 2000008 C300-30 / 40 / 50 CLARK forklift Model: C300-30 / 40 / 50. Series: 356. Manuals for Service (overhaul / repair) and Operation. Additional technical manuals and service letters for repair and operating. 2000009 C300-30 / 40 / 50 (Gas) CLARK forklift Model: C300-30 / 40 / 50 (Gas). Series: 356 (GAS). Manuals for Service (overhaul / repair) and Operation. Additional technical manuals and service letters for repair and operating. 2000010 C300-30 / 40 / 50 (LPG) CLARK forklift Model: C300-30 / 40 / 50 (LPG). Series: 356 (LPG). Manuals for Service (overhaul / repair) and Operation. Additional technical manuals and service letters for repair and operating. 2000011 C300-Y40/60 CLARK forklift Model: C300-Y40/60. Series: 466. Manuals for Service (overhaul / repair) and Operation. Additional technical manuals and service letters for repair and operating. 2000012 C40/ 45 / 50s / 55s CLARK forklift Model: C40/ 45 / 50s / 55s. Series: P455. Manuals for Service (overhaul / repair) and Operation. Additional technical manuals and service letters for repair and operating. 2000013 C500 (H) (Y) 100-150D CLARK forklift Model: C500 (H)(Y)100-150D. Series: (H)915, (H)Y1015. Manuals for Service (overhaul / repair) and Operation. Additional technical manuals and service letters for repair and operating. 2000014 C500 (Y) 20/25/S30 CLARK forklift Model: C500 (Y) 20/25/S30. Series:(Y)235. Manuals for Service (overhaul / repair) and Operation. Additional technical manuals and service letters for repair and operating. 2000015 C500 (Y) 20/25/S30 CLARK forklift Model: C500 (Y) 20/25/S30. Series:(Y)235. Manuals for Service (overhaul / repair) and Operation. Additional technical manuals and service letters for repair and operating. 2000016 C500 (Y) 130-150 CLARK forklift Model: C500 (Y)130-150. Series:915, Y1015. Manuals for Service (overhaul / repair) and Operation. Additional technical manuals and service letters for repair and operating. 2000017 C500 (Y) 30-55 CLARK forklift Model: C500 (Y) 30-55. Series: (Y)355. Manuals for Service (overhaul / repair) and Operation. Additional technical manuals and service letters for repair and operating. 2000018 C500 (Y)35 / 40 / 45 / 50 / 55 / S60 CLARK forklift Model: C500 (Y)35 / 40 / 45 / 50 / 55 / S60. Series: (Y)355. Manuals for Service (overhaul / repair) and Operation. Additional technical manuals and service letters for repair and operating. 2000019 C500 (Y)60 / 70 / 80 / S80 / 90 / S100 CLARK forklift Model: C500 (Y)60 / 70 / 80 / S80 / 90 / S100. Series: (Y)685. Manuals for Service (overhaul / repair) and Operation. Additional technical manuals and service letters for repair and operating. 2000020 C500 (Y)60 / 70 / 80 / S80 / 90 / S100 CLARK forklift Model: C500 (Y)60 / 70 / 80 / S80 / 90 / S100. Series: (Y)685. Manuals for Service (overhaul / repair) and Operation. Additional technical manuals and service letters for repair and operating. 2000021 C500 (Y)60 / 70 / 80 / S80 / 90 / S100 CLARK forklift Model: C500 (Y)60 / 70 / 80 / S80 / 90 / S100. Series: (Y)685. Manuals for Service (overhaul / repair) and Operation. Additional technical manuals and service letters for repair and operating. 2000022 C500 100 / 120 / 135 CLARK forklift Model: C500 100 / 120 / 135. Series: 915. Manuals for Service (overhaul / repair) and Operation. Additional technical manuals and service letters for repair and operating. 2000023 C500-Y110 / 135 / 155 CLARK forklift Model: C500-Y110 / 135 / 155. Series: 915, Y1015. Manuals for Service (overhaul / repair) and Operation. Additional technical manuals and service letters for repair and operating. 2000024 C500 20-S30 CLARK forklift Model: C500 20-S30. Series: 235 (LPG). Manuals for Service (overhaul / repair) and Operation. Additional technical manuals and service letters for repair and operating. 2000025 C500 30-55 CLARK forklift Model: C500 30-55. Series: 355 (Waukesha Diesel). Manuals for Service (overhaul / repair) and Operation. Additional technical manuals and service letters for repair and operating. 2000026 C500 H(Y) 130-150 CLARK forklift Model: C500 H(Y) 130-150. Series H915, HY1015. Manuals for Service (overhaul / repair) and Operation. Additional technical manuals and service letters for repair and operating. 2000027 C500 H(Y) 60 - 70 - 80 CLARK forklift Model: C500 H(Y) 60 - 70 - 80. Series: H685 / HY685. Manuals for Service (overhaul / repair) and Operation. Additional technical manuals and service letters for repair and operating. 2000028 C500 HY 160-300D CLARK forklift Model: C500 HY 160-300D. Series: HY1625, HY2030. Manuals for Service (overhaul / repair) and Operation. Additional technical manuals and service letters for repair and operating. 2000029 C500 Y110 / 135 / 155 CLARK forklift Model: C500 Y110 / 135 / 155. Series: Y1015. Manuals for Service (overhaul / repair) and Operation. Additional technical manuals and service letters for repair and operating. 2000030 C500 Y160 / 180 / S200 / S225 / S250, C500-Y200 / 225 / 250 / 300 CLARK forklift Model: C500 Y160 / 180 / S200 / S225 / S250, C500-Y200 / 225 / 250 / 300, C500-Y200 / 225 / 250 / 300. Series: 915, Y1015. Manuals for Service (overhaul / repair) and Operation. Additional technical manuals and service letters for repair and operating. 2000031 C500 Y180/350 CLARK forklift Model: C500 Y180/350. Series: Y2030. Manuals for Service (overhaul / repair) and Operation. Additional technical manuals and service letters for repair and operating. 2000032 C500 Y60 / 70 / 80 / 90 / 100 CLARK forklift Model: C500 Y60 / 70 / 80 / 90 / 100. Series: Y685. Manuals for Service (overhaul / repair) and Operation. Additional technical manuals and service letters for repair and operating. 2000033 C500 Y60-80 CLARK forklift Model: C500 Y60-80. Series: Y685. Manuals for Service (overhaul / repair) and Operation. Additional technical manuals and service letters for repair and operating. 2000034 C500 Y950CH CLARK forklift Model: C500 Y950CH. Series: Y950. Manuals for Service (overhaul / repair) and Operation. Additional technical manuals and service letters for repair and operating. 2000035 C500(Y) 30-55 60-80 CLARK forklift Model: C500(Y) 30-55 60-80. Series: (Y)355 & (Y) 685. Manuals for Service (overhaul / repair) and Operation. Additional technical manuals and service letters for repair and operating. 2000036 C500-Y110 / 135 / 155 CLARK forklift Model: C500-Y110 / 135 / 155. Series: Y1015 PERKINS. Manuals for Service (overhaul / repair) and Operation. Additional technical manuals and service letters for repair and operating. 2000037 C500 - Y160 - S250 & C500 - Y200 - 300 CLARK forklift Model: C500 - Y160 - S250 & C500 - Y200 - 300. Series: Y1625D & Y2030D. Manuals for Service (overhaul / repair) and Operation. Additional technical manuals and service letters for repair and operating. 2000038 C60-80 CLARK forklift Model: C60-80. Series: P680. Manuals for Service (overhaul / repair) and Operation. Additional technical manuals and service letters for repair and operating. 2000039 Carloader "D" CL CLARK forklift Model: Carloader "D" CL. Series: Carloader "D". Manuals for Service (overhaul / repair) and Operation. Additional technical manuals and service letters for repair and operating. 2000040 CDP 100-164 CLARK forklift Model: CDP 100-164. Series:P1016. Manuals for Service (overhaul / repair) and Operation. Additional technical manuals and service letters for repair and operating. 2000041 CF30B-50B, CLFR40 CLARK forklift Model: CF30B-50B, CLFR40. Series: CF30B-50B, CLFR40. Manuals for Service (overhaul / repair) and Operation. Additional technical manuals and service letters for repair and operating. 2000042 CF30B-50B, CLFR40 CLARK forklift Model: CF30B-50B, CLFR40. Series:CF30B-50B, CLFR40. Manuals for Service (overhaul / repair) and Operation. Additional technical manuals and service letters for repair and operating. 2000043 CFY40B CLARK forklift Model: CFY40B. Government 1641075/076. Manuals for Service (overhaul / repair) and Operation. Additional technical manuals and service letters for repair and operating. 2000044 CFY40B CLARK forklift Model: CFY40B. Government 1610895. Manuals for Service (overhaul / repair) and Operation. Additional technical manuals and service letters for repair and operating. 2000045 CGC/CGP 40-70 CLARK forklift Model: CGC/CGP 40-70. Series: CGC470 & CGP465. Manuals for Service (overhaul / repair) and Operation. Additional technical manuals and service letters for repair and operating. 2000046 CGP/CDP 16-50H CLARK forklift Model: CGP/CDP 16-50H. Series: Hydrostatic. Manuals for Service (overhaul / repair) and Operation. Additional technical manuals and service letters for repair and operating. 2000047 CH(Y) 60-80, CF(Y) 60-80 CLARK forklift Model: CH(Y) 60-80, CF(Y) 60-80. Series: CH(Y)60-80, CF(Y)60-80. Manuals for Service (overhaul / repair) and Operation. Additional technical manuals and service letters for repair and operating. 2000048 Clarkat CLARK forklift Model: Clarkat. Series:"C", "D" & "E". Manuals for Service (overhaul / repair) and Operation. Additional technical manuals and service letters for repair and operating. 2000049 Clarktor "6" CLARK forklift Model: Clarktor "6". Series: Clarktor "6". Manuals for Service (overhaul / repair) and Operation. Additional technical manuals and service letters for repair and operating. 2000050 Clarktor 21 Tow Tractor CLARK forklift Model: Clarktor 21 Tow Tractor. Series: CT21. Manuals for Service (overhaul / repair) and Operation. Additional technical manuals and service letters for repair and operating. 2000051 CLARKTOR CTA40C CLARK forklift Model: CLARKTOR CTA40C. Series:Model 1617200. Manuals for Service (overhaul / repair) and Operation. Additional technical manuals and service letters for repair and operating. 2000052 Clarktor-80 CLARK forklift Model: Clarktor-80. Series: Clarktor-80. Manuals for Service (overhaul / repair) and Operation. Additional technical manuals and service letters for repair and operating. 2000053 Clipper CLARK forklift Model: Clipper. Series:CEC-431 CR & Above. Manuals for Service (overhaul / repair) and Operation. Additional technical manuals and service letters for repair and operating. 2000054 CMP 15-20s CLARK forklift Model: CMP 15-20s. Series: CMP158 "2004 Compliant". Manuals for Service (overhaul / repair) and Operation. Additional technical manuals and service letters for repair and operating. 2000055 CMP 20-30 CLARK forklift Model: CMP 20-30. Series: CMP230 "2004 Compliant". Manuals for Service (overhaul / repair) and Operation. Additional technical manuals and service letters for repair and operating. 2000056 CMP 20-30 CLARK forklift Model: CMP 20-30. Series:CMP230. Manuals for Service (overhaul / repair) and Operation. Additional technical manuals and service letters for repair and operating. 2000057 CMP 40-50s CLARK forklift Model: CMP 40-50s. Series: CMP450 "2004 Compliant". Manuals for Service (overhaul / repair) and Operation. Additional technical manuals and service letters for repair and operating. 2000058 CMP 40-50s CLARK forklift Model: CMP 40-50s. Series: CMP450. Manuals for Service (overhaul / repair) and Operation. Additional technical manuals and service letters for repair and operating. 2000059 CMP 50-70 CLARK forklift Model: CMP 50-70. Series: CMP570. Manuals for Service (overhaul / repair) and Operation. Additional technical manuals and service letters for repair and operating. 2000060 CMP 50-75s CLARK forklift Model: CMP 50-75s. Series: CMP570 "2004 Compliant". Manuals for Service (overhaul / repair) and Operation. Additional technical manuals and service letters for repair and operating. 2000061 CMP 50-75s CLARK forklift Model: CMP 50-75s. Series: CMP570. Manuals for Service (overhaul / repair) and Operation. Additional technical manuals and service letters for repair and operating. 2000062 CMP15-18 & CMP 20-30 CLARK forklift Model: CMP15-18 & CMP 20-30. Series: CMP158 & CMP230. Manuals for Service (overhaul / repair) and Operation. Additional technical manuals and service letters for repair and operating. 2000063 CMP15-20s CMC15-20s CLARK forklift Model: CMP15-20s CMC15-20s. Series: CMP158 & CMC158. Manuals for Service (overhaul / repair) and Operation. Additional technical manuals and service letters for repair and operating. 2000064 CQ 20 / 25 / 30 D / L CLARK forklift Model: CQ 20 / 25 / 30 D / L. Series: CQ230. Manuals for Service (overhaul / repair) and Operation. Additional technical manuals and service letters for repair and operating. 2000065 CRX10-25 CLARK forklift Model: CRX10-25. Series: CRX103, CRX148, CRX205. Manuals for Service (overhaul / repair) and Operation. Additional technical manuals and service letters for repair and operating. 2000066 CT / CTF / CTA6 20B / 30B / 40B / 50B CLARK forklift Model: CT / CTF / CTA6 20B / 30B / 40B / 50B. Series: CT / CTF / CTA6. Manuals for Service (overhaul / repair) and Operation. Additional technical manuals and service letters for repair and operating. 2000067 CTM10-20 / CEM10-20 CLARK forklift Model: CTM10-20 / CEM10-20. Series: CTM145. Manuals for Service (overhaul / repair) and Operation. Additional technical manuals and service letters for repair and operating. 2000068 CTX40/70 CLARK forklift Model: CTX40/70. Series: CTX470. Manuals for Service (overhaul / repair) and Operation. Additional technical manuals and service letters for repair and operating. 2000069 CY/CHY 100 - 120 - 140 CLARK forklift Model: CY/CHY 100 - 120 - 140. Series: CY/CHY 100 - 120 - 140. Manuals for Service (overhaul / repair) and Operation. Additional technical manuals and service letters for repair and operating. 2000070 CY150B / CY300B CLARK forklift Model: CY150B / CY300B. Series: CY150B / CY300B. Manuals for Service (overhaul / repair) and Operation. Additional technical manuals and service letters for repair and operating. 2000071 CY525, CY625, CY700 CLARK forklift Model: CY525, CY625, CY700. Series: CY5275. Manuals for Service (overhaul / repair) and Operation. Additional technical manuals and service letters for repair and operating. 2000072 DPR 20 / 25 / 30 CLARK forklift Model: DPR 20 / 25 / 30. Series: DPR 20/25/30. Manuals for Service (overhaul / repair) and Operation. Additional technical manuals and service letters for repair and operating. 2000073 EC500 20 / 25 / S30 CLARK forklift Model: EC500 20 / 25 / S30. Series: E235. Manuals for Service (overhaul / repair) and Operation. Additional technical manuals and service letters for repair and operating. 2000074 EC500 30 / 35 / 40 / 45 / 50 / 55 CLARK forklift Model: EC500 30 / 35 / 40 / 45 / 50 / 55. Series: E355. Manuals for Service (overhaul / repair) and Operation. Additional technical manuals and service letters for repair and operating. 2000075 EC500 30-55 CLARK forklift Model: EC500 30-55. Series: E355. Manuals for Service (overhaul / repair) and Operation. Additional technical manuals and service letters for repair and operating. 2000076 EC500 60 / 70 / 80 CLARK forklift Model: EC500 60 / 70 / 80. Series: E685. Manuals for Service (overhaul / repair) and Operation. Additional technical manuals and service letters for repair and operating. 2000077 EC500 60-80 CLARK forklift Model: EC500 60-80. Series: E685. Manuals for Service (overhaul / repair) and Operation. Additional technical manuals and service letters for repair and operating. 2000078 EC500 60-80 CLARK forklift Model: EC500 60-80. Series: E685 (300 Control). Manuals for Service (overhaul / repair) and Operation. Additional technical manuals and service letters for repair and operating. 2000079 EC500 60-80 CLARK forklift Model: EC500 60-80. Series: E685. Manuals for Service (overhaul / repair) and Operation. Additional technical manuals and service letters for repair and operating. 2000080 EC500 90 / 100 / 120 CLARK forklift Model: EC500 90 / 100 / 120. Series: E912. Manuals for Service (overhaul / repair) and Operation. Additional technical manuals and service letters for repair and operating. 2000081 EC500 90-120 CLARK forklift Model: EC500 90-120. Series: E912. Manuals for Service (overhaul / repair) and Operation. Additional technical manuals and service letters for repair and operating. 2000082 EC500 Y60/70 CLARK forklift Model: EC500 Y60/70. Series: EY685. Manuals for Service (overhaul / repair) and Operation. Additional technical manuals and service letters for repair and operating. 2000083 ECA/EPA 138 Sequence CLARK forklift Model: ECA/EPA 138 Sequence. Manuals for Service (overhaul / repair) and Operation. Additional technical manuals and service letters for repair and operating. 2000084 ECA17/30, EPA20/30 CLARK forklift Model: ECA17/30, EPA20/30. Series: E138 / EP138. Manuals for Service (overhaul / repair) and Operation. Additional technical manuals and service letters for repair and operating. 2000085 ECG 20-32 CLARK forklift Model: ECG 20-32. Series: ECG358. Manuals for Service (overhaul / repair) and Operation. Additional technical manuals and service letters for repair and operating. 2000086 ECG/EPG 20-32 CLARK forklift Model: ECG/EPG 20-32. Series: ECG358 & EPG358. Manuals for Service (overhaul / repair) and Operation. Additional technical manuals and service letters for repair and operating. 2000087 ECS 17-30 CLARK forklift Model: ECS 17-30. Series: E357. Manuals for Service (overhaul / repair) and Operation. Additional technical manuals and service letters for repair and operating. 2000088 ECS 17-30 CLARK forklift Model: ECS 17-30. Series: E357 STD (EV100 & LXT Supplement). Manuals for Service (overhaul / repair) and Operation. Additional technical manuals and service letters for repair and operating. 2000089 ECX 20-32 & EPX 20-32 CLARK forklift Model: ECX 20-32 & EPX 20-32. Series: ECX / EPX360. Manuals for Service (overhaul / repair) and Operation. Additional technical manuals and service letters for repair and operating. 2000090 ESM 12-25 CLARK forklift Model: ESM 12-25. Series: ESM245 (EV100 & LXT Supplement). Manuals for Service (overhaul / repair) and Operation. Additional technical manuals and service letters for repair and operating. 2000091 ESMII 12-25 CLARK forklift Model: ESMII 12-25. Series: ESM247. Manuals for Service (overhaul / repair) and Operation. Additional technical manuals and service letters for repair and operating. 2000092 ESX12-25 CLARK forklift Model: ESX12-25. Series: ESX250. Manuals for Service (overhaul / repair) and Operation. Additional technical manuals and service letters for repair and operating. 2000093 EWP45 CLARK forklift Model: EWP45. Series:EWP45. Manuals for Service (overhaul / repair) and Operation. Additional technical manuals and service letters for repair and operating. 2000094 GCS / GPS Standard CLARK forklift Model: GCS / GPS Standard. Series: G138 / GP138. Manuals for Service (overhaul / repair) and Operation. Additional technical manuals and service letters for repair and operating. 2000095 GCS 12-17s CLARK forklift Model: GCS 12-17s. Series: G127. Manuals for Service (overhaul / repair) and Operation. Additional technical manuals and service letters for repair and operating. 2000096 GE 210 Control CLARK forklift Model: GE 210 Control. Manuals for Service (overhaul / repair) and Operation. Additional technical manuals and service letters for repair and operating. 2000097 GE C-185 Model 200 Control CLARK forklift Model: GE C-185 Model 200 Control. Manuals for Service (overhaul / repair) and Operation. Additional technical manuals and service letters for repair and operating. 2000098 GE EV1 Control CLARK forklift Model: GE EV1 Control. Manuals for Service (overhaul / repair) and Operation. Additional technical manuals and service letters for repair and operating. 2000099 GE EV100S Control CLARK forklift Model: GE EV100S Control. Manuals for Service (overhaul / repair) and Operation. Additional technical manuals and service letters for repair and operating. 2000100 Gen2 C15(C) and 35(C) CLARK forklift Model: Gen2 C15(C) and 35(C). Series: C152 / P152 / C232 / P232 "2004 & 2010 Compliant". Manuals for Service (overhaul / repair) and Operation. Additional technical manuals and service letters for repair and operating. 2000101 Gen2 C15(C) - 35(C) CLARK forklift Model: Gen2 C15(C) - 35(C) . Series: C152 / P152 / C232 / P232. Manuals for Service (overhaul / repair) and Operation. Additional technical manuals and service letters for repair and operating. 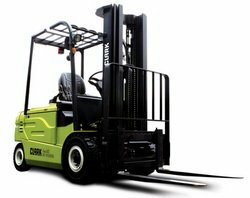 2000102 Genesis CGC/CGP 23-30 CLARK forklift Model: Genesis CGC/CGP 23-30. Series: C365/P365. Manuals for Service (overhaul / repair) and Operation. Additional technical manuals and service letters for repair and operating. 2000103 GEX 20-30 CLARK forklift Model: GEX 20-30. Series: GEX230. Manuals for Service (overhaul / repair) and Operation. Additional technical manuals and service letters for repair and operating. 2000104 GEX/GTX 16-20s CLARK forklift Model: GEX/GTX 16-20s. Series: GEX162 and GTX162. Manuals for Service (overhaul / repair) and Operation. Additional technical manuals and service letters for repair and operating. 2000105 GEX40/50 CLARK forklift Model: GEX40/50. Series: GEX450. Manuals for Service (overhaul / repair) and Operation. Additional technical manuals and service letters for repair and operating. 2000106 Government C20B CLARK forklift Model: Government C20B. Series: Government 1632032/033. Manuals for Service (overhaul / repair) and Operation. Additional technical manuals and service letters for repair and operating. 2000107 Government Tow Tractor MHE-228 CLARK forklift Model: Government Tow Tractor MHE-228. Series: Government 2330237. Manuals for Service (overhaul / repair) and Operation. Additional technical manuals and service letters for repair and operating. 2000108 GPH/DPH 50-75 & Y110 - Y165 CLARK forklift Model: GPH/DPH 50-75 & Y110 - Y165. Series: Y1065. Manuals for Service (overhaul / repair) and Operation. Additional technical manuals and service letters for repair and operating. 2000109 GPX 35-50E CLARK forklift Model: GPX 35-50E. Series: GPX715. Manuals for Service (overhaul / repair) and Operation. Additional technical manuals and service letters for repair and operating. 2000110 GPX/DPX 30-55 CLARK forklift Model: GPX/DPX 30-55. Series: GPX710U. Manuals for Service (overhaul / repair) and Operation. Additional technical manuals and service letters for repair and operating. 2000111 GRM20-30 CLARK forklift Model: GRM20-30. Series: M375. Manuals for Service (overhaul / repair) and Operation. Additional technical manuals and service letters for repair and operating. 2000112 GT30-60E Diesel CLARK forklift Model: GT30-60E Diesel. Series: DT (E). Manuals for Service (overhaul / repair) and Operation. Additional technical manuals and service letters for repair and operating. 2000113 GT30-60E GAS CLARK forklift Model: GT30-60E GAS. Series: GT (E). Manuals for Service (overhaul / repair) and Operation. Additional technical manuals and service letters for repair and operating. 2000114 HUT CLARK forklift Model: HUT. Series:"E". Manuals for Service (overhaul / repair) and Operation. Additional technical manuals and service letters for repair and operating. 2000115 HWP40/60, P40/60 CLARK forklift Model: HWP40/60, P40/60. Series:HWP465, P465. Manuals for Service (overhaul / repair) and Operation. Additional technical manuals and service letters for repair and operating. 2000116 HWX / PWX30-40 CLARK forklift Model: HWX / PWX30-40. Series: HWX / PWX570. Manuals for Service (overhaul / repair) and Operation. Additional technical manuals and service letters for repair and operating. 2000117 IT30/40 CLARK forklift Model: IT30/40. Series: IT355. Manuals for Service (overhaul / repair) and Operation. Additional technical manuals and service letters for repair and operating. 2000118 IT30-40 CLARK forklift Model: IT30-40. Series: Lot 547 & Above. Manuals for Service (overhaul / repair) and Operation. Additional technical manuals and service letters for repair and operating. 2000119 IT60 / 70 / 80 CLARK forklift Model: IT60 / 70 / 80. Series: IT581. Manuals for Service (overhaul / repair) and Operation. Additional technical manuals and service letters for repair and operating. 2000120 NOS15 CLARK forklift Model: NOS15. Series: NOS15. Manuals for Service (overhaul / repair) and Operation. Additional technical manuals and service letters for repair and operating. 2000121 NP 15-20 CLARK forklift Model: NP 15-20. Series: NP15-20. Manuals for Service (overhaul / repair) and Operation. Additional technical manuals and service letters for repair and operating. 2000122 NP300 20/ 30/ 40 NS300 20/ 30/ 40 CLARK forklift Model: NP300 20/ 30/ 40 NS300 20/ 30/ 40. Series: NP246, NS246. Manuals for Service (overhaul / repair) and Operation. Additional technical manuals and service letters for repair and operating. 2000123 NP300 / NS300 CLARK forklift Model: NP300 / NS300. Series: NP246 / NS246. Manuals for Service (overhaul / repair) and Operation. Additional technical manuals and service letters for repair and operating. 2000124 NP500 35/45 CLARK forklift Model: NP500 35/45. Series: NP245. Manuals for Service (overhaul / repair) and Operation. Additional technical manuals and service letters for repair and operating. 2000125 NPR 17-20 CLARK forklift Model: NPR 17-20. Series: NPR345. Manuals for Service (overhaul / repair) and Operation. Additional technical manuals and service letters for repair and operating. 2000126 NST, NS, NSP 20/30/40 CLARK forklift Model: NST, NS, NSP 20/ 30/ 40. Series: NST, NS, NSP 20/ 30/ 40. Manuals for Service (overhaul / repair) and Operation. Additional technical manuals and service letters for repair and operating. 2000127 OP15 CLARK forklift Model: OP15. Series:OP15 (EV100 L1). Manuals for Service (overhaul / repair) and Operation. Additional technical manuals and service letters for repair and operating. 2000128 OP15B CLARK forklift Model: OP15B. Series: OP15B (EV100 & LXT Supplement). Manuals for Service (overhaul / repair) and Operation. Additional technical manuals and service letters for repair and operating. 2000129 OP15X CLARK forklift Model: OP15X. Series: OP15X. Manuals for Service (overhaul / repair) and Operation. Additional technical manuals and service letters for repair and operating. 2000130 OP7 CLARK forklift Model: OP7. Series:OP7 (EV1). Manuals for Service (overhaul / repair) and Operation. Additional technical manuals and service letters for repair and operating. 2000131 OSX15 CLARK forklift Model: OSX15. Series: OSX15. Manuals for Service (overhaul / repair) and Operation. Additional technical manuals and service letters for repair and operating. 2000132 PT 5/7 & PTT 5/7 CLARK forklift Model: PT 5/7 & PTT 5/7. Series: PT 5/7 & PTT 5/7. Manuals for Service (overhaul / repair) and Operation. Additional technical manuals and service letters for repair and operating. 2000133 PTT 5/7 CLARK forklift Model: PTT 5/7. Series: PTT 5/7 (EV1). Manuals for Service (overhaul / repair) and Operation. Additional technical manuals and service letters for repair and operating. 2000134 PW15/18 CLARK forklift Model: PW15/18. Series: PW186. Manuals for Service (overhaul / repair) and Operation. Additional technical manuals and service letters for repair and operating. 2000135 PWC30 & PWT7 CLARK forklift Model: PWC30 & PWT7. Series: PWC30 & PWT7. Manuals for Service (overhaul / repair) and Operation. Additional technical manuals and service letters for repair and operating. 2000136 PWD / HWD 25-36 CLARK forklift Model: PWD / HWD 25-36. Series: PWD565 / 566 & HWD565 / 566. Manuals for Service (overhaul / repair) and Operation. Additional technical manuals and service letters for repair and operating. 2000137 PWD / HWD 30-40 CLARK forklift Model: PWD / HWD 30-40. Series: HWD / PWD567. Manuals for Service (overhaul / repair) and Operation. Additional technical manuals and service letters for repair and operating. 2000138 PWX30/40 - HWX30/40 CLARK forklift Model: PWX30/40 - HWX30/40. Series: HWX / PWX570. Manuals for Service (overhaul / repair) and Operation. Additional technical manuals and service letters for repair and operating. 2000139 RHY 140-220, CFY / CHY 150-300 CLARK forklift Model: RHY 140-220, CFY / CHY 150-300. Series: RHY 140-220, CFY / CHY 150-300. Manuals for Service (overhaul / repair) and Operation. Additional technical manuals and service letters for repair and operating. 2000140 ROS25/40 CLARK forklift Model: ROS25/40. Series: ROS25/40. Manuals for Service (overhaul / repair) and Operation. Additional technical manuals and service letters for repair and operating. 2000141 S, SP 20/ 30/ 40 CLARK forklift Model: S, SP 20/ 30/ 40. Series:S, SP 20/ 30/ 40. Manuals for Service (overhaul / repair) and Operation. Additional technical manuals and service letters for repair and operating. 2000142 Square D Truck Pac 200 NP300 & NP500 CLARK forklift Model: Square D Truck Pac 200 NP300 & NP500. Manuals for Service (overhaul / repair) and Operation. Additional technical manuals and service letters for repair and operating. 2000143 ST20-40 CLARK forklift Model: ST20-40. Series: ST245. Manuals for Service (overhaul / repair) and Operation. Additional technical manuals and service letters for repair and operating. 2000144 TM 12-25 CLARK forklift Model: TM 12-25. Series: TM247 (EV100 & LXT Supplement). Manuals for Service (overhaul / repair) and Operation. Additional technical manuals and service letters for repair and operating. 2000145 TM10/15S (24 Volt) CLARK forklift Model: TM10/15S (24 Volt). Series: TM127. Manuals for Service (overhaul / repair) and Operation. Additional technical manuals and service letters for repair and operating. 2000146 TM10/15S (24 Volt) (Cableform) CLARK forklift Model: TM10/15S (24 Volt) (Cableform). Series: TM127. Manuals for Service (overhaul / repair) and Operation. Additional technical manuals and service letters for repair and operating. 2000147 TM10/15S (24 Volt) (GE) CLARK forklift Model: TM10/15S (24 Volt) (GE). Series: TM127. Manuals for Service (overhaul / repair) and Operation. Additional technical manuals and service letters for repair and operating. 2000148 TM12/15S (48 Volt) (Cableform) CLARK forklift Model: TM12/15S (48 Volt) (Cableform). Series: TM145. Manuals for Service (overhaul / repair) and Operation. Additional technical manuals and service letters for repair and operating. 2000149 TM12/ 15S/ 15/ 20/ 22/ 25 (36 Volt) CLARK forklift Model: TM12/ 15S/ 15/ 20/ 22/ 25 (36 Volt) (36 Volt). Series: TM127. Manuals for Service (overhaul / repair) and Operation. Additional technical manuals and service letters for repair and operating. 2000150 TM12/ 15S/ 15/ 20/ 22/ 25 (36 Volt) CLARK forklift Model: TM12/ 15S/ 15/ 20/ 22/ 25 (36 Volt) (36 Volt). Series: TM247. Manuals for Service (overhaul / repair) and Operation. Additional technical manuals and service letters for repair and operating. 2000151 TMG 12-25 CLARK forklift Model: TMG 12-25. Series: TMG248. Manuals for Service (overhaul / repair) and Operation. Additional technical manuals and service letters for repair and operating. 2000152 TMX 12-25 & EPX 16-20s CLARK forklift Model: TMX 12-25 & EPX 16-20s. Series: TMX250 / EPX162. Manuals for Service (overhaul / repair) and Operation. Additional technical manuals and service letters for repair and operating. 2000153 Tri-Loader CLARK forklift Model: Tri-Loader. Series: Side Loading Attachment. Manuals for Service (overhaul / repair) and Operation. Additional technical manuals and service letters for repair and operating. 2000154 TW 20/40 CLARK forklift Model: TW 20/40. Series: TW 20/40. Manuals for Service (overhaul / repair) and Operation. Additional technical manuals and service letters for repair and operating. 2000155 TW12-35 CLARK forklift Model: TW12-35. Series: TW125 & TW235. Manuals for Service (overhaul / repair) and Operation. Additional technical manuals and service letters for repair and operating. 2000156 TW20/25, TW30/40 CLARK forklift Model: TW20/25, TW30/40. Series: TW125, TW235. Manuals for Service (overhaul / repair) and Operation. Additional technical manuals and service letters for repair and operating. 2000157 UT40/60D CLARK forklift Model: UT40/60D. Series: Utility Truck. Manuals for Service (overhaul / repair) and Operation. Additional technical manuals and service letters for repair and operating. 2000158 WP30 CLARK forklift Model: WP30. Series: WP30. Manuals for Service (overhaul / repair) and Operation. Additional technical manuals and service letters for repair and operating. 2000159 WP40 CLARK forklift Model: WP40. Series: WP40. Manuals for Service (overhaul / repair) and Operation. Additional technical manuals and service letters for repair and operating. 2000160 WP45 CLARK forklift Model: WP45. Series: WP45. Manuals for Service (overhaul / repair) and Operation. Additional technical manuals and service letters for repair and operating. 2000161 Y180-350 CLARK forklift Model: Y180-350. Series: Y2235. Manuals for Service (overhaul / repair) and Operation. Additional technical manuals and service letters for repair and operating. 2000162 Yardlift 20 CLARK forklift Model: Yardlift 20. Series: Y20. Manuals for Service (overhaul / repair) and Operation. Additional technical manuals and service letters for repair and operating.